The Centers for Disease Control and Prevention (CDC) reports that roughly 70 million Americans have hypertension (high blood pressure). Only 52 percent of those with hypertension have the condition under control. Additionally, one in three Americans have pre-hypertension, meaning they are at high risk of developing hypertension if they do not take the necessary steps to manage their numbers. Lifestyle factors can highly contribute to a person’s risk of developing hypertension. 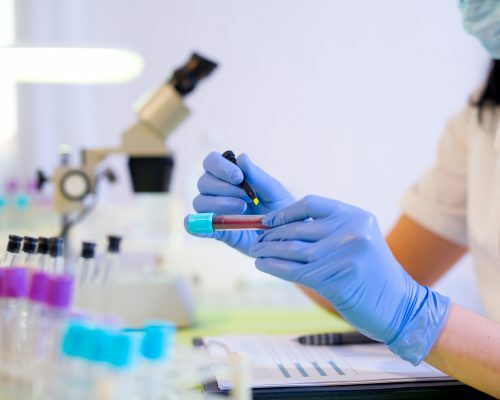 To better predict a person’s future risk of hypertension, researchers at Johns Hopkins Medicine have found that a simple blood test used to detect heart attack may also be able to predict hypertension in the future. Blood samples were collected from more than 5,000 people. Those who had slightly elevated levels of cardiac troponin T were more likely to receive a diagnosis of hypertension within a few years. The blood test will now move into clinical trials. If it proves successful, it can be used as a tool to predict future hypertension and begin early prevention. The troponin T test is already widely used to detect heart attack and is quite cost effective – only $10 to $20. The version of the test for hypertension is more sensitive and, although not used in the U.S., is already commonly used in Europe. For the study, the participants had no diagnosis of hypertension – a small group did have high-normal blood pressure (27 percent). Those with mild elevations of troponin T had a 13 percent higher rate of developing hypertension during the follow-up. Those with notably elevated levels had a 24 percent higher risk of hypertension. The findings were published in the September issue of Circulation. Hypertension can be symptomless, although many believe that high blood pressure may cause nervousness, sweating, difficulty sleeping, or facial flushing – these are not, in fact, symptoms of hypertension. Some symptoms people may experience with high blood pressure include headaches, nosebleeds, and shortness of breath, but these symptoms will mainly occur during a hypertensive crisis. Reducing your blood pressure is easy with some simple changes to your lifestyle. First and foremost, it’s important to know your risk. Does hypertension run in your family? Does your age or race put you at greater risk? If yes, it’s even more important that you begin to align your life with healthy habits in order to reduce your risk of hypertension. Here are some other ways you can reduce your risk of hypertension. Until the new test becomes available in the U.S., it’s important you still do as much as you can to lower your risk and prevent hypertension. Lifestyle habits can easily be adjusted in order to protect your heart and lower your blood pressure. If you have factors that increase your risk, you should immediately begin to make these positive changes for the better.